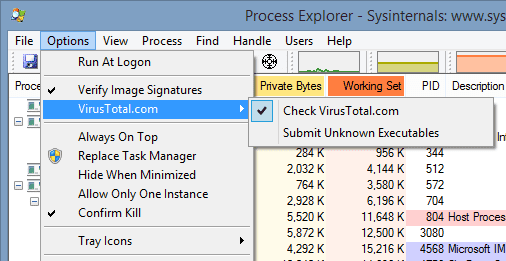 Native boot VHD in Windows 7 is awesome but one thing you have to admit is that it’s not a simple process that can be easily set up through a very understandable GUI or wizard. We have covered a lot of them before but to be honest with you, none of them are as easy as 123. 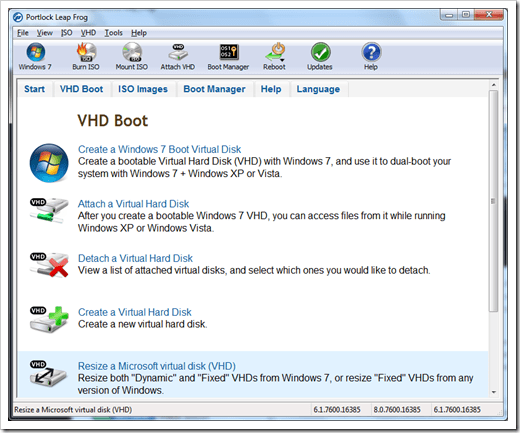 Portlock Leap Frog is probably the very first software on the market developed for the purpose of making bootable VHD easier. 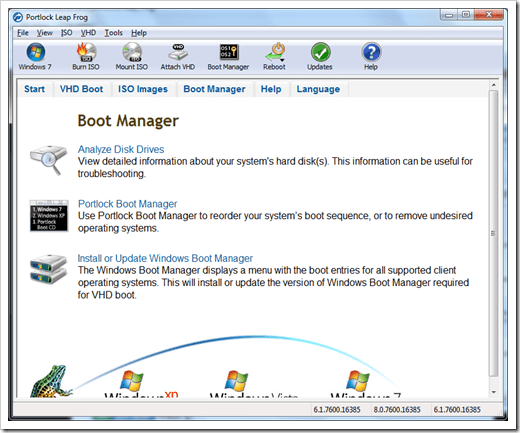 It has been developed and designed to provide end users an easy-to-use wizard that eliminates steps for making a working native boot VHD, such as preparing a Windows 7 VHD, and managing bootmanager. 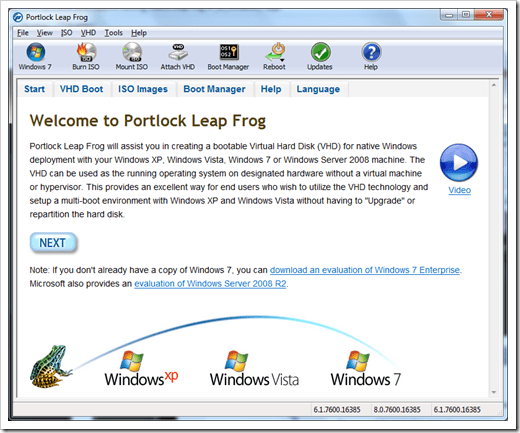 You can check this article for a step-by-step instruction how to use Portlock Leap Frog with Microsoft’s pre-built Windows 7 VHD, to get a basic idea how it works. If you prefer seeing a video clip in action, below is a video demo that shows you the steps how to use this software make one working bootable VHD. As you can see, it does make the whole process a lot easier. If you like the idea of native boot VHD, you definitely should check it out, whether you have successfully used it or not. It’s a tool that can make your life a lot easier. We have had change to test it out in our test machine, and are happy with what we have seen from the result. It does the job as it promises. It’s a life saver to both end users who want to use it and IT pros who want to deploy it. 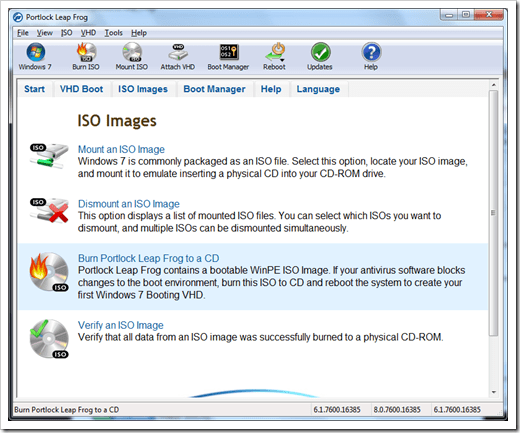 Portlock Leep Frog is not a free software, which costs $39.95, but it offers a 30-day free evaluation version for both 32-bit and 64-bit. Here are a few more screenshots so you can see what features are included.